The branch of dentistry concerned with the design, manufacture, and fitting of artificial replacements for teeth and other parts of the mouth. Prosthodontic procedures include crowns, bridges, veneers, inlays, onlays, complete and partial dentures. Dental implants have become the preferred method for replacing missing teeth, so many prosthodontic procedures today are done with implants as the support instead of the natural teeth or gums. Prosthodontic care is provided by both general dentists and prosthodontic specialists called prosthodontists. Endodontic is a dental speciality which deals with the dental pulp. Root canal therapy is one of the common procedures followed in endodontic treatments. Also includes treatment of cracked teeth and dental trauma. Endodontic treatment is done to save the teeth from diseased dental pulp. Successful Endodontic root canal therapy depends on the elimination of the microorganism from the root canal system through the use of Diode laser in the root canal therapy. Nickel-titanium (NiTi) Rotary files to Endodontics almost changed the way root canal preparation are performed. Regenerative endodontics uses the concept of tissue engineering to restore the root canals to a healthy. Most endodontists offer tremendous flexibility in accommodating emergency cases, so delays in treatment are kept to a minimum and patients can be relieved of dental pain quickly. Many endodontists use state-of-the-art technology such as operating microscopes, digital imaging, ultrasonic instrumentation and fiber optics, to treat their patients quickly and comfortably. Today, getting root canal treatment is often no more uncomfortable than having a filling. Dentistry is often defined as the evaluation, diagnosis, prevention and/or treatment (nonsurgical, surgical or related procedures) of diseases, or conditions of the oral cavity, maxillofacial area and/or the adjacent and associated structures and their impact on the human body. Recent advances in Cosmetic dentistry/Aesthetic dentistry, Veterinary, Restorative dentistry encouraged researchers to explore the potential for regenerating functional and living teeth. Sedation dentistry refers to the use of pharmacological agents to calm and relax a patient prior to and during a dental appointment. To make oral health convenient, cost effective & efficient, Members of the dental team and Dental congress Europe focus on following in detail. Orthodontics is a specialty field of dentistry that diagnoses, prevents and treats irregularities of the teeth and face. Treatment can correct an irregular or "bad" bite, also known as a malocclusion. The Invisalign method is gaining an increasing interest as an alternative treatment option in adult patient in multidisciplinary complex cases to simplify the treatment plan. Orthodontic implants have become a reliable method in orthodontic practice for providing temporary additional anchorage. These devices are useful to control skeletal anchorage in less compliant patients or in cases where absolute anchorage is necessary. Cleft lip and palate is usually treated with surgery. Other treatments may be needed to treat associated. Bonding is a procedure that uses a tooth-colored composite resin (plastic) to repair a tooth. Bonding can be used on teeth that are decayed, chipped, broken or discolored. Veneers are thin shells that are bonded to the front parts of teeth. If most of the tooth remains, veneers can improve the look of the tooth without cutting it down enough to place a crown. Veneers are made of ceramic or resin materials. They are similar to artificial fingernails. A dental inlay or onlay is bigger than a filling and smaller than a crown. It is bonded or cemented into place. Dental recontouring involves the removal of small amounts of tooth enamel. The purpose is to change the length, shape or surface contours of a tooth. This is a relatively quick and painless procedure. It is also called tooth reshaping or odontoplasty. Tooth whitening lightens teeth and helps to remove stains and discoloration. Whitening is among the most popular cosmetic dental procedures because it can greatly improve how your teeth look. Pediatric dentistry is the branch of dentistry dealing with children from birth through adolescence. Pediatric dentists promote the dental health of children as well as serve as educational resources for parents. It is the dental field that provides primary and widespread oral health care for children from infancy through youth and patients with special health care needs. Pediatric dental treatment and disease avoidance is provided for children up to 14 years of age, with special services for newborns and infants.Pediatric dentists encourage the dental health of children as well as help as educational resources for parents. Early detection is necessary to maintain oral health, modify unusual habits, and treat as needed and as simply as possible. Restorative dentistry is the study, diagnosis and integrated management of diseases of the teeth and their supporting structures and the rehabilitation of the dentition to functional and aesthetic requirements of the individual. Restorative dentistry encompasses the dental specialties of endodontics, periodontics and prosthodontics and its foundation is based upon how these interact in cases requiring multifaceted care. Nanodentistry is a branch that involves the maintenance and upgradation of oral health care yet more precise by employing nanomaterials, biotechnology, including tissue engineering & ultimately dental nanorobotics. Recent developments of nanoparticles and nanotubes in operative dentistry, endodontics, periodontal management, has played a growing role in the enhancement of dental industry. Nanomaterials and nanoparticles are cornerstones of innovative dental devices used for drug discovery and delivery, discovery of biomarkers, and molecular diagnostics. Nanodentistry aims to manipulate and fine tune particle to create unique with novel properties and advances in dentistry. Oral cancer often begins with an asymptomatic stage during which symptoms may not be obvious, it is often painless initially and therefore difficult to detect. Oral cancer treatment is usually successful when performed in the early stages, any abnormal change in the mouth, gums, tongue, or surrounding area should be evaluated by a dental professional immediately. A consistent build up of plaque and tartar leads to oral cancer and Nutritional deficiencies implicated as risk factor Diet low in fruits & vegetables implicated in cancers of mouth, larynx, and oesophagus. Diet low in vitamin A has been linked to oral cancer in some studies Iron deficiency associated with Plummer-Vinson syndrome causes an elevated risk for squamous cell carcinoma of the oesophagus, oropharynx and posterior mouth.It is estimated that tobacco smoking and alcohol drinking combined account for approximately ¾ of all oral and pharyngeal cancers in the U.S. It is the division of dentistry that deals with the management of the tissues surrounding and supporting the teeth, especially the gums. Gum cure is essential to prevent tooth loss. Common periodontal processes include scaling and root development, periodontal surgery, dental implants, and cosmetic techniques such as crown lengthening, soft tissue grafts, ridge augmentation. OMF surgery is unique in requiring a dual qualification in medicine (Dental anesthesiology) and dentistry, and is often seen as the bridge between medicine and dentistry, treating conditions that require expertise from both backgrounds such as head and neck cancers, salivary gland diseases, facial disproportion, facial pain, temporomandibular joint disorders, impacted teeth, Pediatric craniofacial and cleft surgery, Antibiotic prophylaxis and early dental implant failure, cysts and tumours of the jaws as well as numerous problems affecting the oral mucosa such as mouth ulcers and infections and also diagnosis and management of dento-facial deformities. Marketing is key to the success of any business, and dental practices are no exception. For a dental practice to grow, a single dentist should be seeing 24–50 new patients per month. And in order to attract new dental patients, a practice must offer a competitive product at competitive pricing, along with convenient, quality services. For an established dental practice, more than 70% of new patient growth should come from internal patient referrals. Yet, existing patients don’t often view your dental practice as a growing business in search of more patients. Really the number one dental marketing idea is to consistently focus on new patient generation. Every practice loses 15-20% of their patient base annually due to naturally occurring attrition. And direct mail is proven to drive higher results than any other type of marketing for dentists - but not all direct mail is the same. Dental marketing newsletters are proven to drive 70% higher call volume that dental marketing postcards, plus they're twice as effective at engaging the brain. Enhance your dental marketing strategy with this gem of a dental marketing idea and get your team involved. Have your team read every marketing campaign you launch at your weekly huddles. Have everyone on your dental team bring in all the flyers, emails and other promotional dental marketing pieces they receive and review at your huddles. Related Conferences: Dental Conferences | Dentistry Conferences | Oral Health Conferences | Dental Meetings: BIHE 2017 - 23rd Azerbaijan International Healthcare Exhibition, Baku – Azerbaijan, Sep, 28-30, 2017; Dentima Siberia 2017 - Medima Siberia 2017, Oct, 31- Nov, 02, 2017; Dental-Expo Ekaterinburg 2017 - 7th Specialized Exhibition, Nov, 29 – Dec01, 2017, Ekaterinburg – Russia; IDEA 2017 - Etiopia - 3rd International Dental Exhibition Africa, Dec, 14-16, 2017, Addis Ababa – Ethiopia; CIOSP 2018 - The 36th Sao Paulo International Dental Meeting, Jan, 31-Feb, 03, 2018, São Paulo – Brazil. Dental sleep medicine is an area of dental practice that focuses on the use of oral appliance therapy to treat sleep-disordered breathing, including snoring and obstructive sleep apnea (OSA). Approximately 25 million adults have obstructive sleep apnea (OSA), which can cause them to stop breathing hundreds of times a night for anywhere from a few seconds to more than a minute. Sleep apnea is a chronic condition that occurs when your muscles relax during sleep, allowing soft tissue to collapse and block the airway. As a result, repeated breathing pauses occur, which often reduce your oxygen levels. These breathing pauses are followed by brief awakenings that disturb your sleep. Dentistry continues to change, particularly because of the advances in clinical dentistry, materials and technology. These changes offer opportunities for both patients and dental practices alike. Now patients can benefit from the advances in clinical dentistry and dental practices can benefit from the opportunity to move their business in a forward direction. Today, there is no reason for anyone in dentistry to complain about being bored, unproductive or at a plateau. Dental practices need to constantly look at the available options. I find that dentists who are taking advanced clinical courses and utilizing technology are re-energized and enjoying dentistry more than ever before. Dentists can learn about new concepts in dental treatment and the latest advances in techniques and instrumentation in the one journal that helps them keep pace with rapid changes in this field. The journal also aims to provide clinicians, scientists and students of dentistry with a knowledge transfer platform for rapid publication of reports through an international journal. The broad coverage of current research has given the journal an international reputation as an indispensable source for both basic scientists and clinicians engaged in understanding and preventing dental disease. Orofacial myology is a specialized professional discipline that evaluates and treats a variety of oral and facial (orofacial) muscle (myo-) postural and functional disorders and habit patterns that may disrupt normal dental development and also create cosmetic problems. The principles involved with the evaluation and treatment of orofacial myofunctional disorders are based upon dental science tenets. Dental hygiene is the practice of keeping the mouth and teeth clean to prevent dental problems, most commonly, dental cavities, gingivitis, caries, periodontal (gum) diseases and bad breath. Vincent infection- a painful disease of the mouth characterized by gray ulceration of the mucous membrane, bleeding of gums, foul odor to the breath etc. Teeth cleaning are the removal of dental plaque and tartar from teeth to prevent cavities, gingivitis, gum disease, and tooth decay. Tooth decay is the most common global disease. A dental hygienist is a licensed dental professional who is registered with a dental association or regulatory body within their country of practice. Dental Public Health (DPH) is a non-clinical specialty of dentistry that deals with the prevention and promotion of oral health. Dental public health is involved in the assessment of key dental health needs and coming up with effective solutions to improve the dental health of populations rather than individuals. Prevention is becoming increasingly important. Dental related diseases are largely preventable and there is a growing burden on health care systems for cure. Dental public health looks beyond the role of a dental practitioner in treating dental disease, and seeks to reduce demand on health care systems by redirection of resources to priority areas. Dentistry has seen massive improvements with respect to advancement from the traditional techniques to the digital world that has widened the scope of dental treatments and procedures. Digital dentistry tools and techniques used at present include the Laser applications, Dental implants and occlusal analysis, Forensic dentistry, Dental radiography/informatics, Robotic and digital dentistry and Imaging techniques for the craniofacial hard and soft tissues. Ethics affect virtually every decision made in a dental office, encompassing activities of both judging and choosing. Ethics affect relationships with patients, the public, office staff, and other professionals. Without a solid ethical foundation, you simply cannot be a true professional. The dentist must be aware of patients’ legitimate needs for prescription drugs. Dental researches are done in order to increase the stock of knowledge and implementation in clinical procedures in dentistry. A research may also be an expansion on past work in the dental field. To test the validity of instruments, procedures or experiments, research may replicate elements of prior projects or the project as a whole. Conference series LLC Ltd Organizes 1000+Global Events inclusive of 300+ Conferences, 500+ Workshops and 200+ Symposiums Every Year across USA, Europe & Asia with support from 1000 more scientific societies and Publishes 500+ Open access journals which contains over 50,000 eminent personalities, reputed scientists as editorial board members. American Dental-2017 is the premier event that brings together a unique and international mix of experts, researchers and decision makers both from academia and industry across the globe to exchange their knowledge, expertise and research innovations to build a world class Dental and Oral Health Conference. It is our greatest pleasure to welcome you to the official website of “26thAmerican Dental Congress, that aims at bringing together the Professors, Dentists, Researchers, Clinicians, Program developers to provide an international forum for the dissemination of original research results, new ideas and practical development experiences which concentrate on both theory and practices in our Medical meetings. The conference will be held in September 18-20, 2017 Philadelphia, USA. The theme of the conference is around," Exploring the Possibilities in Shaping the Future of Dental and Oral Health”. Featuring 3 days of scientific workshop, Special sessions, Speaker & Poster session, Industrial Expo.300+ attendees from all over the world. Oral health is essential to general health and quality of life. It is a state of being free from mouth and facial pain, oral and throat cancer, oral infection and sores, periodontal (gum) disease, tooth decay, tooth loss, and other diseases and disorders that limit an individual’s capacity in biting, chewing, smiling, speaking, and psychosocial wellbeing. Worldwide, 60–90% of school children and nearly 100% of adults have dental cavities.American Dental-2017 aims to bring together leading academic scientists, researchers and research scholars to exchange and share their experiences and research results about all aspects of dental & Oral Health. It also provides the chance for researchers, practitioners and educators to present and discuss the most recent innovations, trends, and concerns, practical challenges encountered and the solutions adopted in the fields of Dental & Oral Health. Dentistry and oral care is a science devoted for maintenance and treatment of teeth, gums, and other soft and hard tissues of oral cavity and adjacent structures. 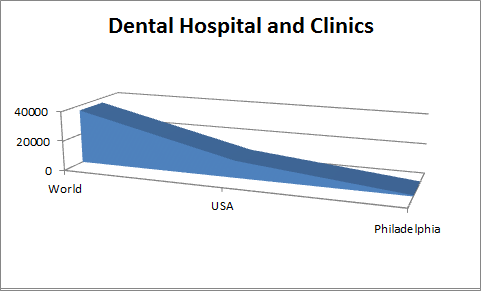 Dental market is bifurcated into two segments: dental consumables and dental equipment’s. Dental consumables represent the larger segment of the dental care industry. The dental consumables segment includes crowns/bridges, implants, orthodontics, impressive materials, composites, endodontic, adhesives, and cements, while the dental equipment segment is composed of large equipment, such as autoclaves, sterilizers, chairs, communication systems, compressors, cuspidors, and digital imaging systems. American Dental Congress-2017 is an international platform for presenting research about Dental, exchanging ideas about it and thus, contributes to the dissemination of knowledge in marketing for the benefit of both the academia and business. We bring together business, creative, and technology leaders, Academics from the Dental, Oral Health for the most current and relevant. Why to attend the conference on dentistry??? 26th American Dental Congress which is going to be the biggest conference dedicated to dental provides a premier technical forum for reporting and learning about the latest research and development, along with discussing new applications and technologies. Events include hot topics presentations from all over the world and professional networking with industries, leading working groups and panels. Meet Your Objective Business sector With individuals from and around the globe concentrated on finding out about Oral Care and Dental Hygiene, this is the best chance to achieve the biggest collection of members from everywhere throughout the World. Conduct shows, disperse data, meet with current, make a sprinkle with another product offering, and get name acknowledgment at this occasion. Widely acclaimed speakers, the latest methods, strategies, and the most up to date overhauls in Oral Care and Dental Hygiene are signs of this meeting. 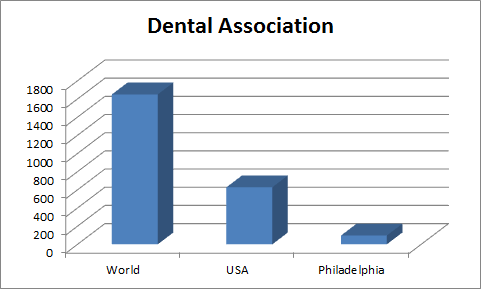 26th American Dental Congress is going to be held in Philadelphia, USA. Philadelphia is the largest city in the Commonwealth of Pennsylvania and the fifth-most populous city in the United States, with an estimated population of 1,567,442 and more than 6 million in the seventh-largest metropolitan statistical area, as of 2015. Philadelphia is the center of economic activity in Pennsylvania and is home to seven Fortune 1000 companies. The Philadelphia skyline is growing, with a market of almost 81,900 commercial properties in 2016 including several nationally prominent skyscrapers. Philadelphia is best known for its tourist attraction and is also called World Heritage City. Philadelphia is the biggest city of Pennsylvania and the 5th most crowded in the United State. Philadelphia is the financial and cultural anchor of Delaware Valley, a metropolitan territory home to 7.2 million individuals and the eighth-biggest consolidated factual region in the United States. Philadelphia's expert Sports groups has been 1860 establishing of baseball's Athletics. It is the one of 12 U.S. cities to have each of the four noteworthy games: the Philadelphia Phillies in the Philadelphia Eagles of the National Football League, National League of Major League Baseball, Philadelphia Flyers of the National Hockey League, and the Philadelphia has 76 National Basketball Association. According to the report, rising disposable incomes of patients coupled with growing dental care awareness will drive the dental equipment market in the developing Asian countries. In the developed regions of North America and Western Europe, market growth will be driven mainly by the aging population possessing a desire to retain natural tooth structure. In 2011, North America was the leader in terms of market share and is expected to maintain its leadership position in 2018. This can be attributed to the rapid adoption of advanced technologies such as CAD/CAM, along with relatively higher dental-health awareness across the population. The rapid adoption of dental lasers, which are capable of making dental procedures practically painless, thereby increasing patient compliance, is helping to make dental lasers the fastest growing segment of the overall dental equipment global market. Danaher Corp. led the market in terms of market share in 2011 because of its extensive product portfolio and its wide presence in the developed North American and European regions. Some other key players in this market include Sirona Dental Systems, A-dec Inc.,CareStream Health, GC Corp., Planmeca Oy and Biolase Inc. The Professors, Dentists, Researchers, Clinicians, Educators, Marketing, and Students from Academia in the study of Oral care and dental Hygiene. 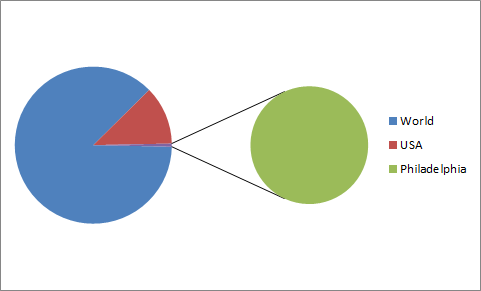 World’s Dentists market research report can be used to help you: understand market size and growth potential; major companies; draft business plans and pitch books; and conduct benchmarking and SWOT analysis. Dentists perform a range of services that typically fall under general or specialty dentistry. Accounting for about 84.0% of dentists in the industry, general dentists provide services, such as preventive care, diagnosis and treatment planning, and procedures, such as fillings, dentures and extractions. Specialty dentistry, which includes Endodontics, oral surgery, orthodontics, periodontics, prosthodontics and pediatric dentistry, makes up an estimated 16.0% of practicing dentists. In 2016, dental visits and consultations are expected to make up 32.3% of total revenue. This product segment includes prevention services (16.3%), as well as consultation and diagnostic services (15.9%). Thanks to all of our wonderful speakers, conference attendees and Exhibitors, American Dental Congress-2016 Conference was our best ever! 19th American Dental Congress, hosted by the Conference series LLC Ltd was held during December 08-10, 2016 Phoenix, USA at Holiday Inn North, Phoenix, USA with the theme “Exploring the possibilities in shaping the future of dental and oral health”. Benevolent response and active participation was received from the Editorial Board Members of Conference Series LLC Ltd Group Journals as well as from the Scientists, Doctors, Professors, Dental Lecturers, Industries, Researchers and Students from the fields American Dental Congress -2016, who made this event successful. American Dental Congress-2016 scientific committee, would like to congratulate the best poster award winner Mr.Arif Yezdani for excellent work presented by the Poster Presenters of American Dental Congress 2016. Title: “Construction Bite - Soul Of A Functional Appliance”. We appreciate his work and wishes him the bright future ahead. Also we would like to provide special benefits on registration and accommodation to all the attendees of American Dental Congress-2016 to attend American Dental Congress-2017. We are really honoured to have Prof. Leonard B. Goldstein, A.T. Still University, USA as Judge of the Poster Presentation session of 2016. Thank you for being the part of this event your presence as Honourable guests had set the tone perfectly for our conference. American Dental Congress 2016 planning committee would like to thank all of our Speakers, Delegates and exhibitors. Each is an integral part of Conference Series and we could not have hosted such a wonderful conference without them. We will look forward to work with you in future as well to cater the demand of future research aspects of Dentistry.